Pro Tools | Noveltech Character - What It Is, How To Use It And How Does It Sound? Character from Noveltech is a simple plug-in which intelligently enhances the relevant characteristics found in the source, automatically adjusting complex sets of parameters rather than only statically boosting e.g. one specific frequency region. This revolutionary approach allows you to get to the desired results much faster. 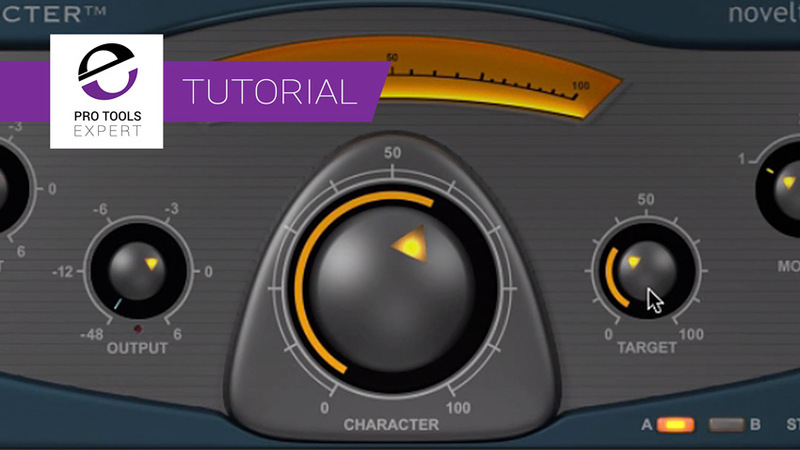 In this free video tutorial, brought to you with the support of Plugin Alliance, Pro Tools Expert team member Julian Rodgers tries out Character on the drums, bass and guitars in a track. Julian uses it to accentuate the transients of the drums, brings out edge in the electric guitars and midrange “plumminess” in the bass.